It’s crowded, exhausting, and at times ridiculous, but the Consumer Electronics Show is an important way for makers to take their projects to the next level. Here, a few of our favorite creators share tips. Some people love CES. The tech megaconference that’s hosted in Las Vegas each January is a frenzy of networking and new tech. It’s the best way to see the most new products for the year ahead. It’s also very crowded and very corporate, and it forces a nonstop schedule that’s totally exhausting. Talking to creative friends who work in tech, I notice that they tend to describe it with eye rolls, groans, and hand-wringing. Tech journalists congratulate each other on getting out of the assignment. The endless expanse of over 4,000 companies presenting marginally faster microchips, impractically expensive TVs, and Alexa-connected everything can be soul-sucking. The 200 or so Kickstarter creators who typically show up are often a bright spot in the lineup. 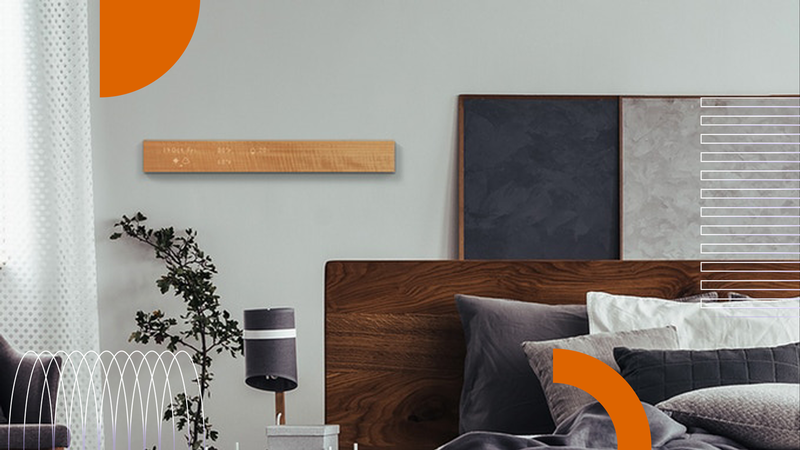 Their creative projects stand out and offer unexpected delight: charismatic home robots created by cartoon animators, holographic displays that offer headset-free VR, a smart home control panel that displays digital updates on an understated wood surface. All in all, these creators have already raised more than $38 million with the support of over 175,000 backers in 191 countries. But attending CES makes an appreciable difference for their budding businesses. 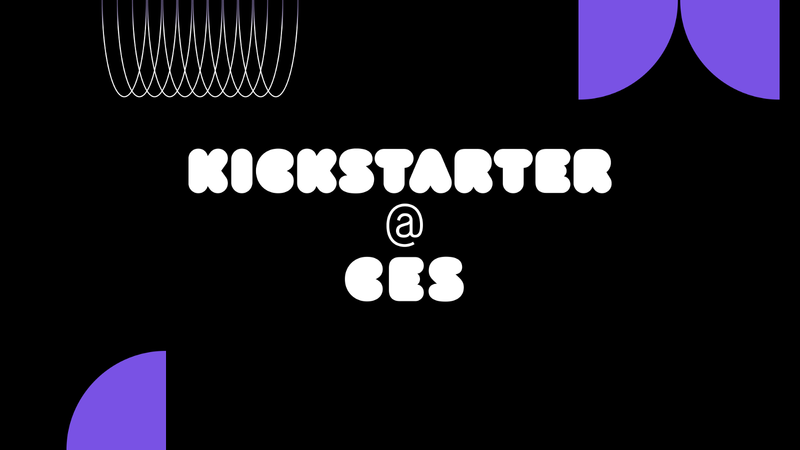 For the creator who starts with a germ of an idea on Kickstarter and aims to grow a business that will get their creation into millions of consumers’ hands, CES offers plenty of fairy-godmother moments for deals and partnerships. “In Eureka Park, where new startups present, you can’t rely on through traffic. 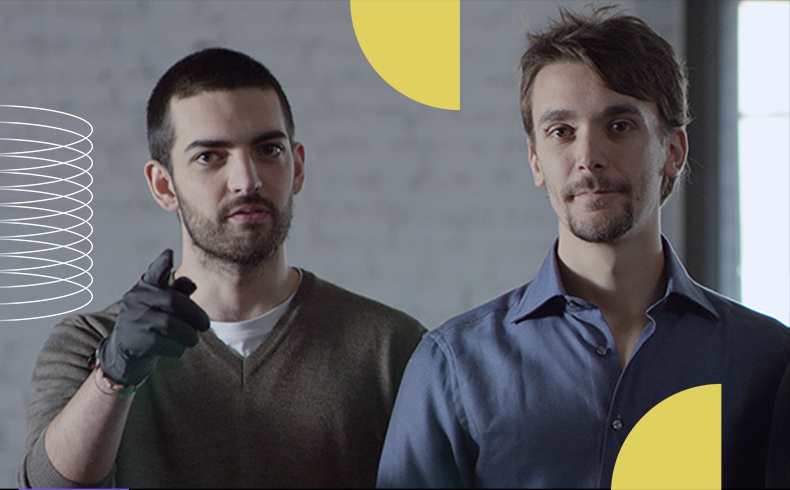 You have to spend time identifying your audiences, and it’s important to do follow-ups as well,” explains Filippo Yacob, co-creator of Pigzbe. His team at Primo Toys will be there showing their latest hands-on learning toy, a “piggy wallet” that teaches kids about cryptocurrency and digital money (it’s live on Kickstarter now). As a CES veteran who’s attended several times, he knows that the conference is a valuable opportunity to make connections. 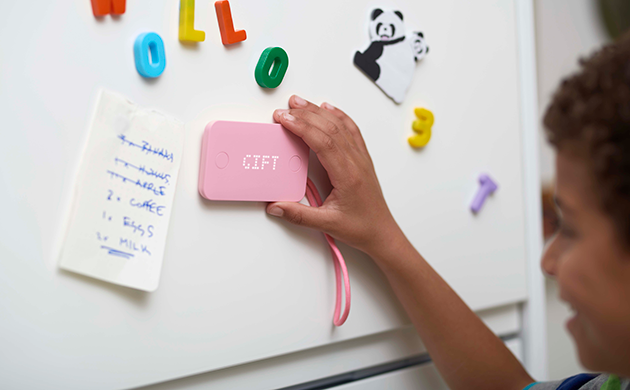 The Pigzbe “piggy wallet” gamifies digital currencies. “We’re working with a product that empowers human creativity, which is something our work always comes back to, and it’s what we want to talk about,” says Andrea Baldereschi, creator of Scribit, a programmable wall-drawing robot. At his last company, Andrea Baldereschi (right) learned what not to do. Now he’s coming into CES with a more authentic voice. At his previous company, which also started as a successful Kickstarter project, he learned what not to do. Back then, he thought he should talk business and act like a stereotypical wheeler-dealer Silicon Valley startup founder. Now he focuses on the creative story he feels passionate about. “In lieu of having our own booth this year, we’ve been really lucky to be able to partner with some our closest friends in the land of 3D,” says Shawn Frayne, the founder and CEO of holographic display screen company Looking Glass Factory. “Technology is convenient, but it forces us to make new habits — to isolate ourselves with our phones or to say, ‘OK Google,’ or, ‘Alexa!’ to turn on smart home assistants — that are not really our traditional human behavior,” says Kaz Oki, the cofounder and CEO of mui. His team is creating a wooden control-panel device that streamlines smartphone and smart home notifications into a simple, quiet interface that’s more in line with natural human interactions. David, Clarissa, Heather, and Katheryn will be there catching up with past, present, and future creators. Don’t be a stranger.